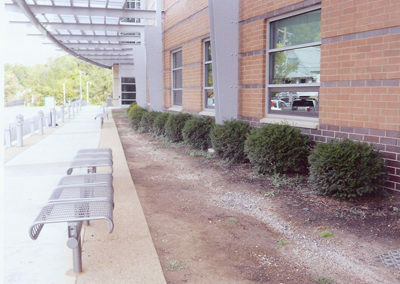 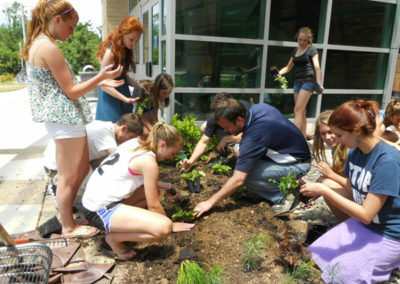 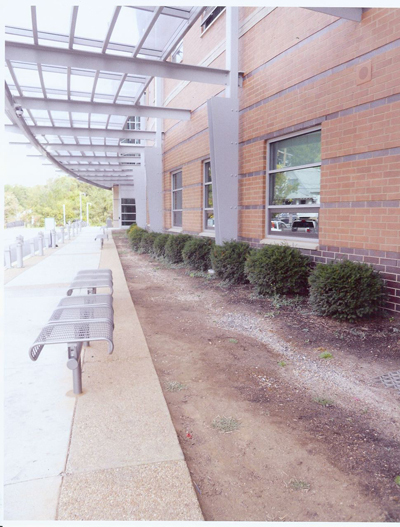 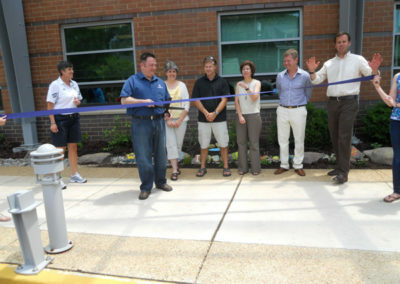 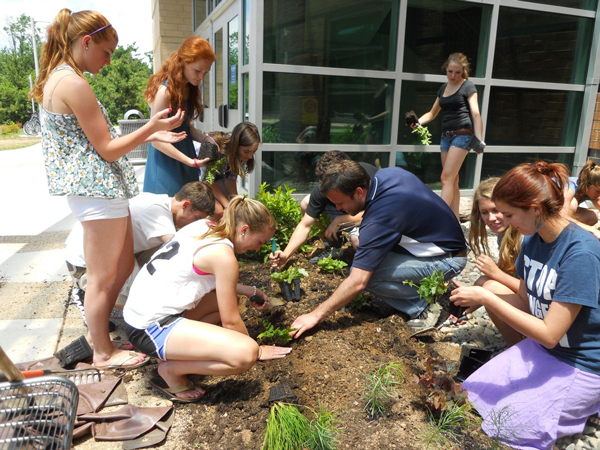 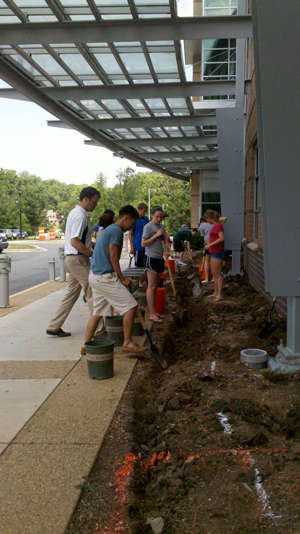 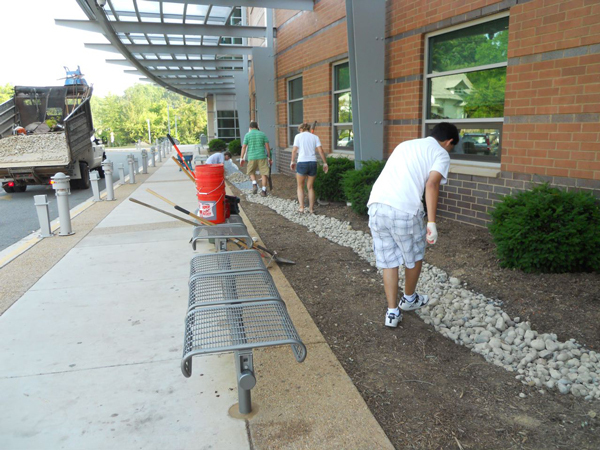 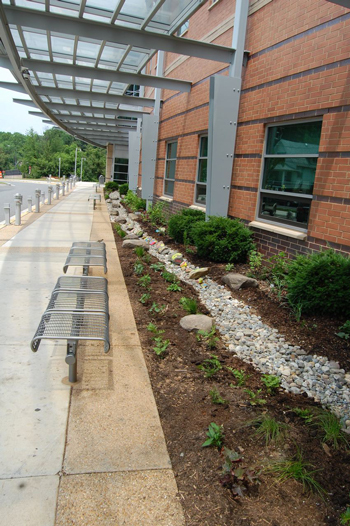 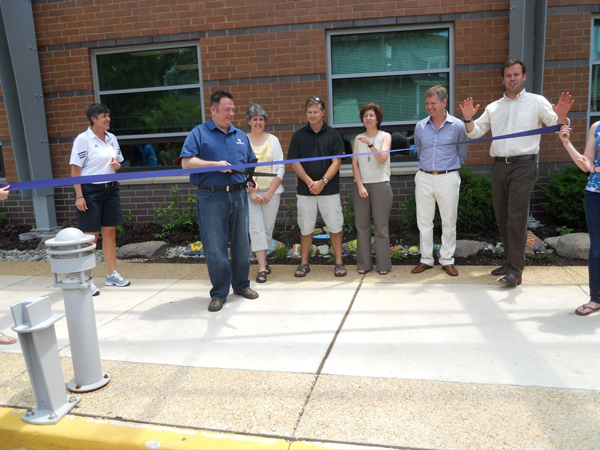 Students and teachers from the Washington-Lee High School IB Environmental Systems classes put what they had studied in the classroom into action in this hands-on project to manage stormwater and reduce erosion at the front of the school. 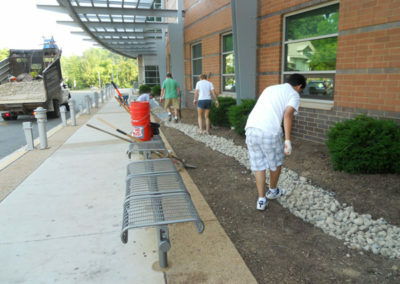 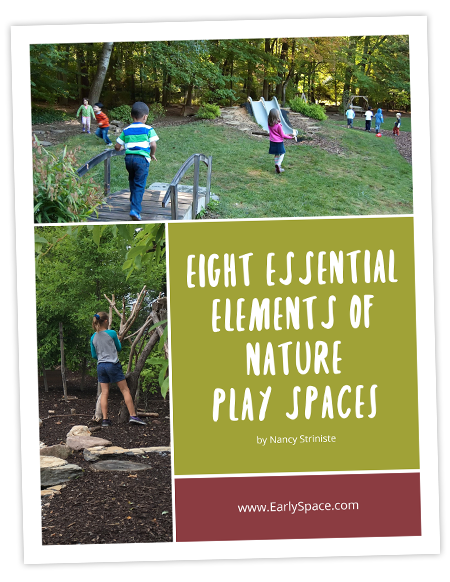 The students first excavated the area, moved literally tons of stone and planted over 200 native plants in the first installment of the Greening the Grounds Initiative at Washington-Lee High School. 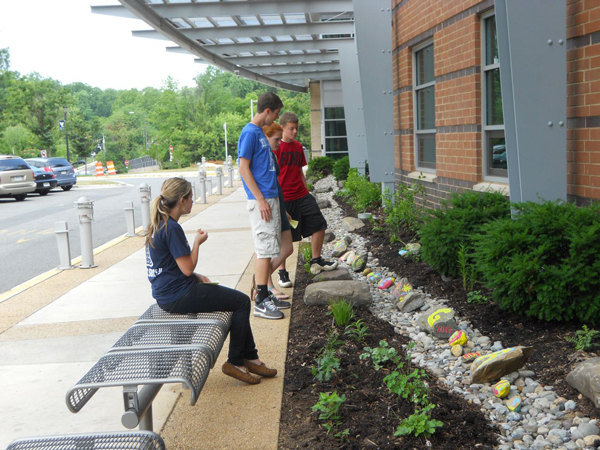 The students also created a facebook page to document the project and an innovative QR code plant labelling system.